“From Vegas to Macau II,” a casino caper that fails to re-create the dynamic action and zany fun of the original hit. Putting its cardsharp hero through various escapades in Thailand that prove largely irrelevant to his mission to topple a gambling syndicate, the film shortchanges its starry cast with its shambolic plot and imbecilic gags. Still, leads Chow Yun-fat, Nick Cheung and Carina Lau give their charming best, helping the pic become China’s current B.O. champ — a winning streak that probably won’t extend beyond Asia. Thailand is situated in heart of the Southeast Asian mainland – covering a land mass of 513,115 sq. km. Its extreme latitudinal co-ordinates are 20°28’N and 5°36’S, and its extreme longitudinal co-ordinates are 105° 38’ E and 97°22 W. To the north Thailand borders the Lao People’s Democratic Republic (Lao PDR) and the Union of Myanmar; to the east it borders the Lao PDR and the Kingdom of Cambodia; to the south it borders Malaysia; and to the west it borders the Union of Myanmar. 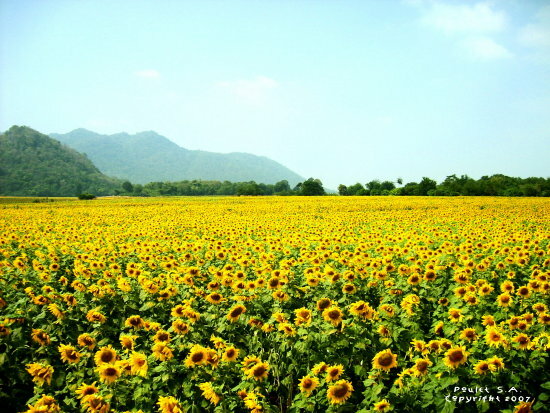 The country’s land-based maximum north-south extent is approximately 1,600 km, and its maximum east-west extent measures approximately 870 km. 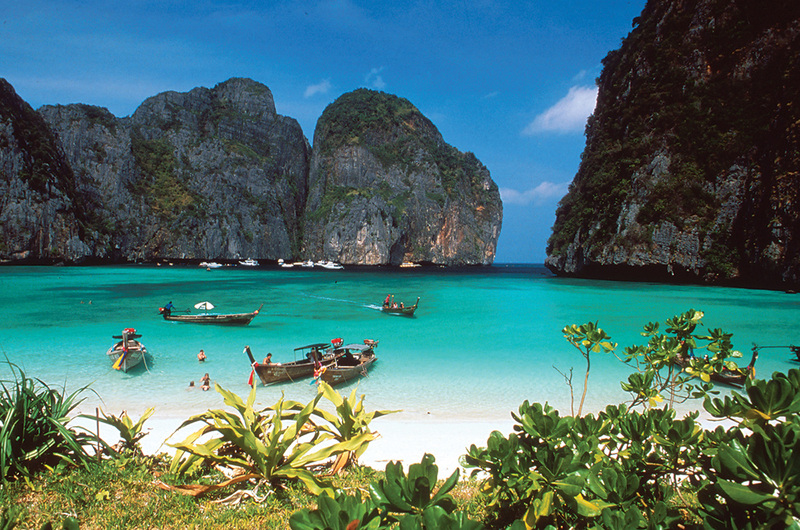 The country’s coastline along the Gulf of Thailand is 1,875 km. 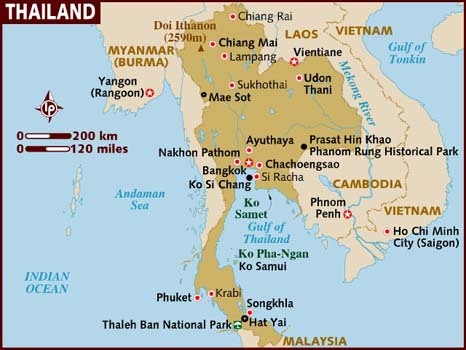 long, compared to 740 km along the Andaman Sea; not included are the coastlines of some 400 islands, most of them in the Andaman Sea. Thailand’s charm is reflected in ancient temples and ruins of bygone civilization, lush virgin rainforests abundant in rare flora and fauna, white sandy beaches and tropical island archipelagos, classical arts and traditional festivals, alternative health treatments, as well as modern infrastructure and facilities. 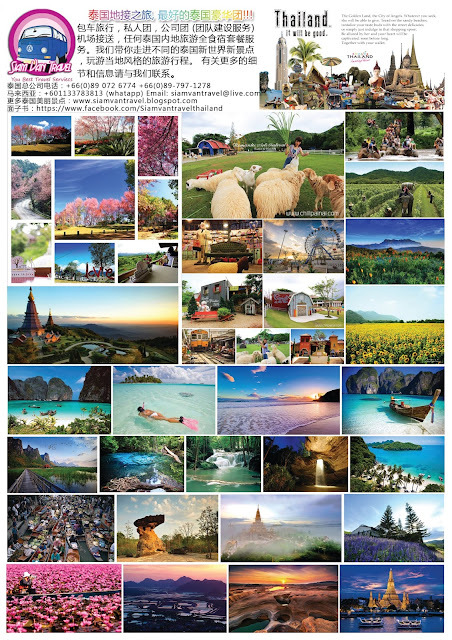 This is an ancient kingdom that has a long history in which the old and the new, the east and the west, truly blend to create a place where visitors are enticed to enjoy the best of both worlds. Water is another distinctive facet of the natural environment with a rich diversity of attractions. 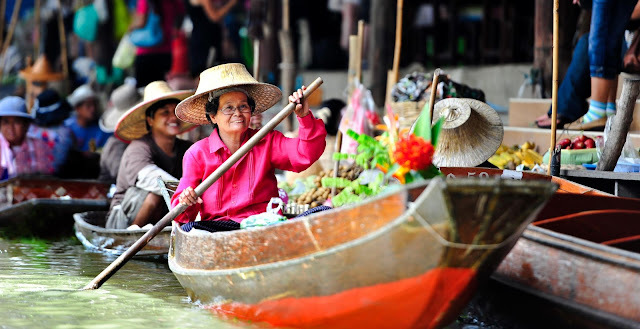 Rivers and canals are very much synonymous with Thai life as they have not only provided food, but also served as important transport routes. 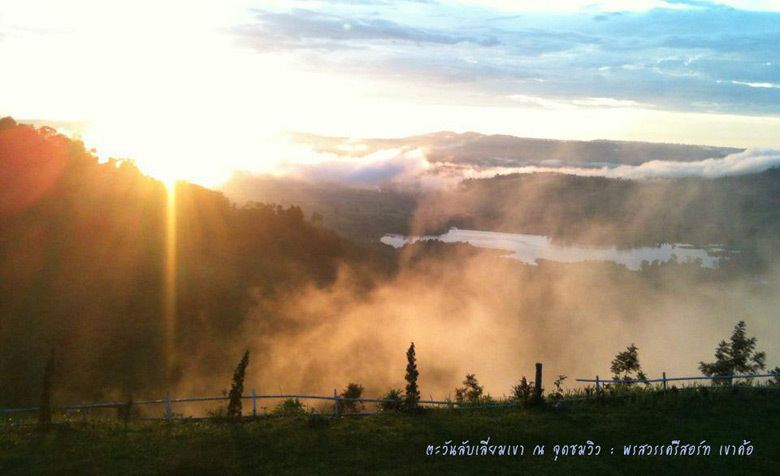 It is these landscapes, lifestyles and activities that have drawn many visitors to return to Thailand, time and again. 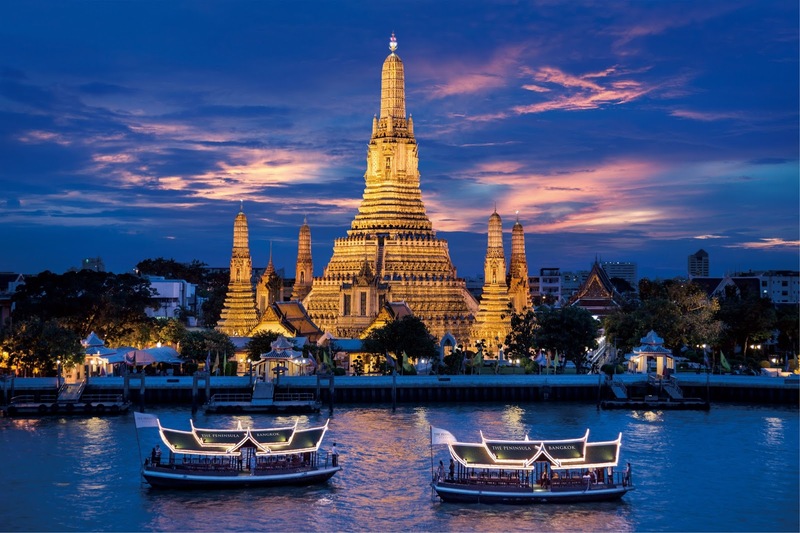 Amid all the vibrant activities of Bangkok and its environs, there are still signs of traditional life lining the Chao Phraya River and the surrounding waterways. 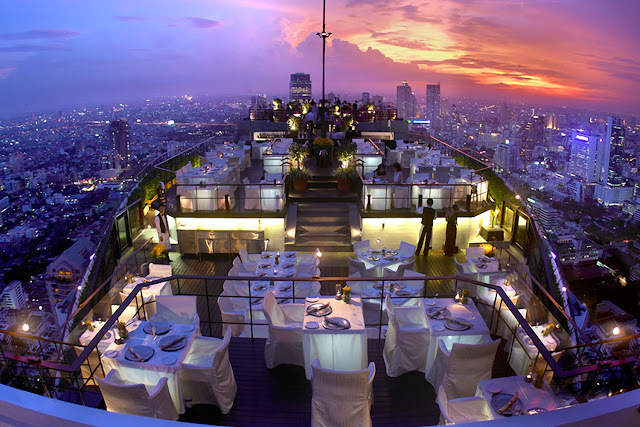 Wat Ratchasingkhon Pier, visitors can see the diversity of Bangkok’s riverside and skyline. There are the glistening spites of the Grand Palace and Temple of the Emerald Buddha; monasteries, churches and mosques; royal residence; and old European trading houses among modern high-rises, signifying the unique blend of the ancient and modern. The riverside is also a playground for children and a peaceful area for the elderly, resting in there waterfront pavilions, or for enterprising vendors who paddle along selling fresh produce from local farms and orchards. Beaches and tropical islands abound, offering a relaxing marine environment. 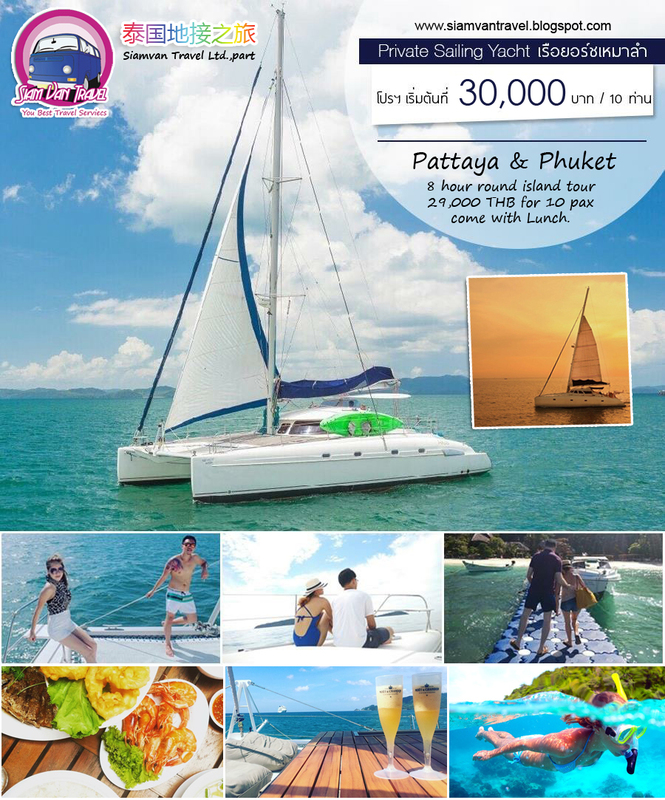 Powdery white sand, lots of sunshine and crystal clear, turquoise water along the coasts of the Gulf of Thailand and the Andaman Sea create a relaxing paradise for visitors who love to be near the sea. Scenic destinations are not the only attractions. There is also the lure of conventional healthcare in many standard hospitals and alternative healthcare to refresh, restore and rejuvenate the body and mind that results in blissful happiness. The world is now discovering the centuries-old skills of Thai traditional healthcare. Massaging of aching muscles, limbs, and pressure points as well as stretching of yogic positions incite an exhilarating sense of well-being through Thai traditional healthcare to restore the balance among the body’s elements. But this is not the only way to pamper the body as there is rapid growth of health and beautiful spas in all major tourist destinations where visitors can relax and avail themselves of a vast range of aromatherapy, facials, and cosmetic treatments. Or better still, visit a herbal sauna to cleanse the body, or go for a herbal pack to calm the nerves and redirect the body’s energy. The herbs used in Thai health and beauty treatments have beneficial effects for the body both internally and externally. Also popping up are destination spas, which offer other forms of treatments such as slimming, detoxification and hydrotherapy. Many of these centers have received international recognition and now act as places of training, too. For mental therapy, there are meditation courses in different parts of the country, ranging from half a day to a month in which visitors can find inner peace and happiness from the stress of everyday modern living. Thailand is also a shopper’s paradise. From small traditional street stalls and markets to multi-leveled department stores, shoppers are faced with a variety of high quality products and attractive designs at reasonable prices. For Thais, happiness is in the pride of being internationally recognized for the conservation of their country’s majestic, past civilizations and natural heritage. As such, the United Nations Educational, Scientific and Cultural Organization (UNESCO) recognized several unique ensembles of the natural as well as man-made environment as World Heritage Sites. 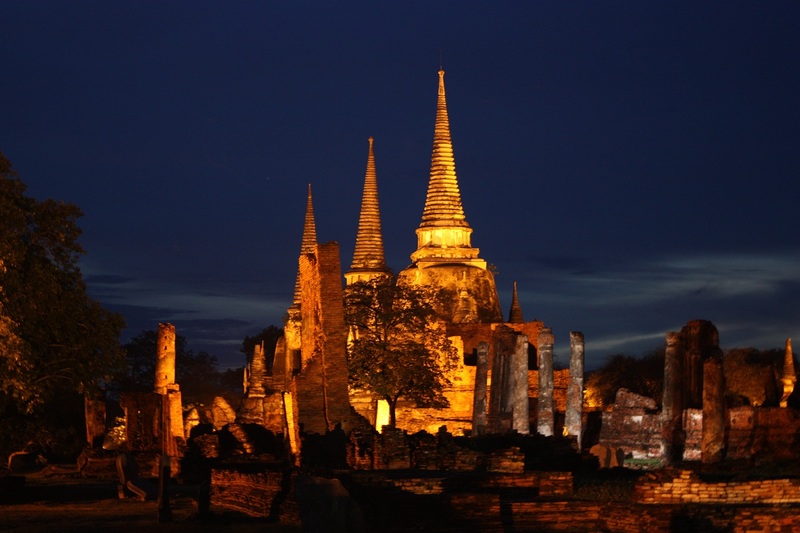 One of the grand World Heritage Sites comprises the ancient cities of Sukhothai, Si Sathchanalai and Kamphaeng Phet, the latter a historical city linked to Sukhothai by the royal route called Thanon Phra Ruang with its parallel aqueduct known as Tho Pu Phraya. 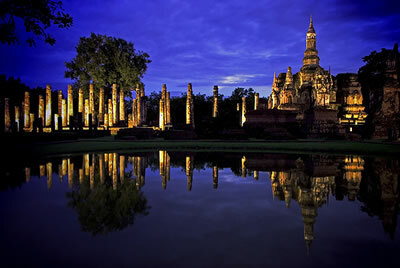 Ayutthaya, the historically second capital city of old Siam, was a major trade and port centre in its heyday. Nowadays, it is preserved as the Ayutthaya Historical Park. 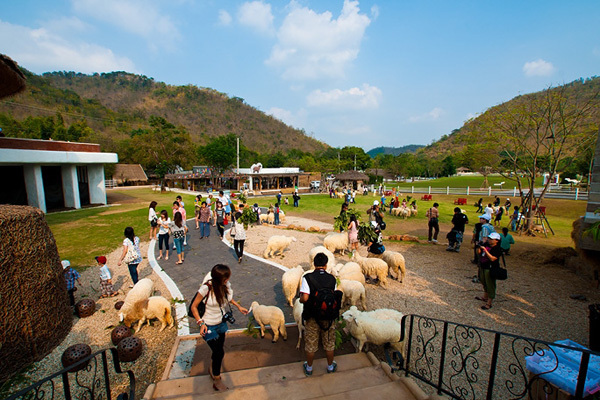 Also, there is the Ban Chiang Archaeological Site with burial sites and artifacts dating back more than 5,000 years that may well be among the oldest in the world. Visitors eager to witness the grandeur of some of these sites, at different times of the year, may watch spectacular light and sound presentations that recount the country’s long history and magnificent achievements. 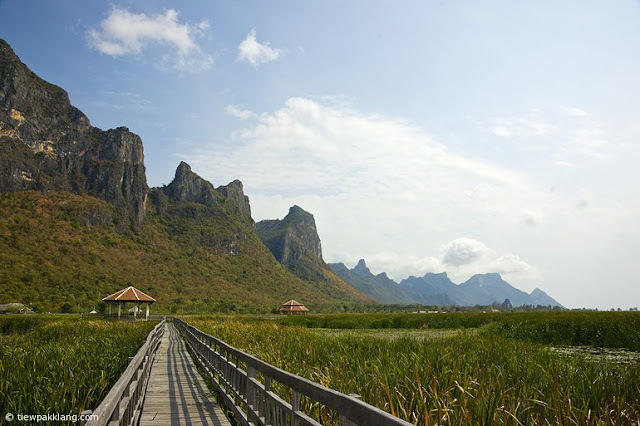 For those who prefer natural heritage, there is the Thung Yai Naresuan – Huai Kha Khaeng National Park, the largest legally protected forest conservation area in mainland Southeast Asia, covering more than 622,000 hectares. 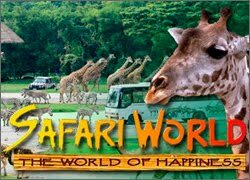 It is home to animal species that can no longer be found in some other parts of the world. 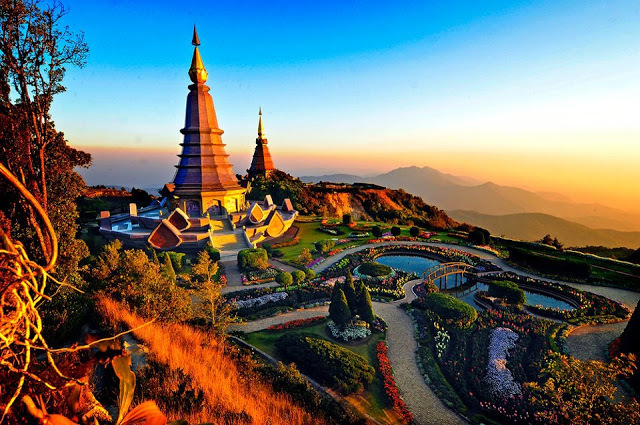 The Monarchy: Thai people have a deep, traditional reverence for the Royal Family, and a visitor should show respect for the King, the Queen and the Royal Family. Religion: Visitors should dress neatly in all religious shrines. They should never go sleeveless or in shorts, hot pants or other unsuitable attire. It is acceptable to wear shoes when walking around the compound of a Buddhist temple, but not inside the chapel where the principle Buddha image is kept. Each Buddha image, large or small, ruined or not, is regarded as a sacred object. Never climb onto one to take a photograph or do anything which might indicate a lack of respect. Buddhist monks are forbidden to touch or be touched by a woman, or to accept anything from the hand of one. If a woman has to accept anything to monk, she first hands it to a woman, who then presents it. Thais don’t normally shake hands when they greet one another, but instead press the palms together in a prayer-like gesture called a wai. Generally a younger person wais an elder, who returns it. Thais regard the head as the highest part of the body, literally and figuratively. Therefore, avoid touching people on the head. Do not use your fee to point at people or an object. It is considered very rude. Always remove your shoes when entering a private Thai home. Public displays of affection between men and women are frowned upon in Thailand. Beware of unauthorized people who offer their services as guides. 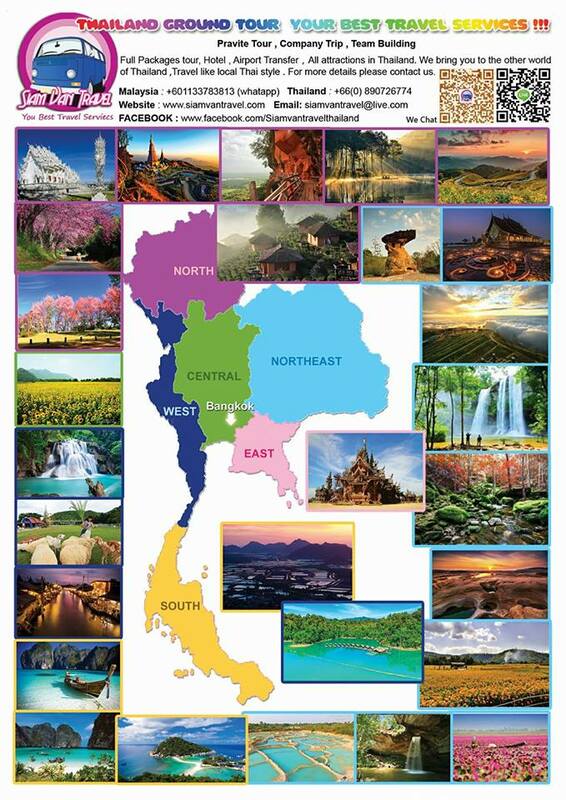 For all tourist information, contact the Tourism Authority of Thailand, Tel : 1672. 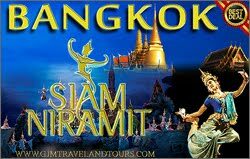 For information about Bangkok, contact the Bangkok Metropolitan Tourist Bureau, Tel : 0 2225 7612-4. Observe all normal precautions as regards to personal safety, as well as the safety for your belongings. Walking alone on quiet streets or deserted areas is not recommended. Be sure that all your valuables -- money, jewelry, and airline tickets are properly protected from loss. Visitors needing assistance relating to safety, unethical practices, or other matters, please call the Tourist Police at Tel: 1155. Always throw away your garbage into a waste bin. The Bangkok Metropolitan Administration is strictly enforcing the law in to keep the city clean and sanitary. Fines will be imposed on persons who litters in public areas. Do not support any manner of wild animal abuse. Never purchase any products or souvenirs made from wild animals or reptiles -- like snakes, lizards, turtles or elephants. Avoid patronizing local restaurants that serve wild animal delicacies. It is against the law is slaughter wildlife for food in Thailand.